February 14, 2018 -- Google Dictionary's description of the gig economy is a "labor market characterized by the prevalence of short-term contracts or freelance work as opposed to permanent jobs." Uber, Deliveroo, Airbnb, Favor, Bellhop, and Turo are prominent examples of companies that use this model. Success in the gig economy is driven by the highest consumer demand for access, cost-effectiveness, and convenience. In May 2017, Intuit CEO Brad Smith said, "The gig economy ... is now estimated to be about 34% of the workforce and expected to be 43% by the year 2020." Ray Plummer from Skinner and Associates. This workplace shift has been created by demand in the marketplace for increasingly fluid and dynamic ways to access goods and services. Because of technological advancement, consumers and innovative companies now have the ability to conduct business in ways that were previously impossible. The secret to the gig economy is the ability for market participants to meet new and expanding consumer demands while creating an environment to allow its "employee/entrepreneurs" flexibility of choice regarding lifestyle, wealth, and autonomy. While the leading gig economy-based companies have established growing businesses for the business-to-consumer (B2C) segment, entrepreneurs are beginning to focus on innovative ways to address market demands within the business-to-business (B2B) environment. As much as consumers have driven market demand for various B2C solutions, imaginative B2B businesses are replicating this operational model to meet and optimize demands for internal personnel and specialized skillsets. Consulting and outsourcing can temporarily alleviate this challenge, but companies may find that they still lack the cohesiveness and interpersonal relationships required to be truly effective. This demand has led to the emergence of the virtual healthcare executive (VHE). Virtual healthcare executives are highly skilled and experienced healthcare executives who provide leadership, expert opinion, and advisory guidance. Typically, assignments are short to midterm engagements with organizations that have been challenged in finding, placing, or affording the highest caliber of industry leadership as full-time employees. VHEs engage directly with an organization's leadership to create a collaborative on-demand team environment. Utilizing a VHE model, leading organizations can tap into industry experts with the highest level of access, cost-effectiveness, and convenience. Unlike traditional consulting, this fluid level of leadership accessibility provides organizations with unbiased expertise when and as needed, at a reduced cost, with no long-term commitment. Additionally, the virtual healthcare executive can augment existing organizational leadership by providing the specialized knowledge and expertise required to help an organization adapt to changing market demands. Dave Whitney, a recognized healthcare business leader and market innovator, put it best: "The use of a VHE can significantly impact organizational success simply by placing the right expert in the right place at the right time." How does a VHE differ from typical consulting engagements? Many industry leaders are moving into this employment model as an alternative to full-time roles to better serve their personal interests while creating meaningful results for their clients. Traditional healthcare and staffing models limit creative and influential candidates who maintain a broader base of expertise or personal goals than typical employer-based models. By combining these incentives into a virtual executive role, the virtual healthcare executive can achieve a more satisfying career by tailoring it to his or her own individual lifestyle and economic needs. Additionally, challenges presented in this model allow a VHE to focus on specific areas of interest within the industry and select challenges that provide a high level of job satisfaction and personal reward. Where does the VHE fit within an organization? The virtual healthcare executive's role generally maintains visibility within an organization just like other organizational leadership, but with highly focused objectives and with unbiased participation in the success of each initiative. Here's a real-world example: Our client, a young, venture capital-based company, established an innovative telehealth platform; however, it struggled with the complexity of aligning vision with execution and cost. This new service line required high levels of healthcare technology integration with untested nonhealthcare systems and myriad operational and regulatory challenges. Internal expertise was not available, and permanently onboarding multiple individuals with the required skillsets was not a viable option to bring the product to market in the short time-frame required. In this specific situation, by utilizing a highly specialized virtual healthcare executive, the company was able to acquire top expertise quickly and at a fraction of the cost otherwise required. Additionally, the VHE was able to operate as an unbiased participant, overcoming typical cultural collisions and governance hurdles. This allowed the organization to move quickly and with confidence that the alignment was well-designed, balanced, honest, and actionable. The escalating complexities of healthcare have created a need within many organizations to bring in outside talent to bridge numerous expertise gaps. As population health initiatives and value-based reimbursement move forward (as examples), each new item has become a formidable issue that must be expertly addressed. Many organizations are now finding themselves wholly unprepared as they recognize that they lack the necessary expertise in-house. As such, the demand for VHE talent is exploding within the marketplace as the primary means to efficiently and cost-effectively address the numerous challenges currently faced by the industry. Additional articles will soon follow, exploring the role that VHEs play within healthcare in greater detail. 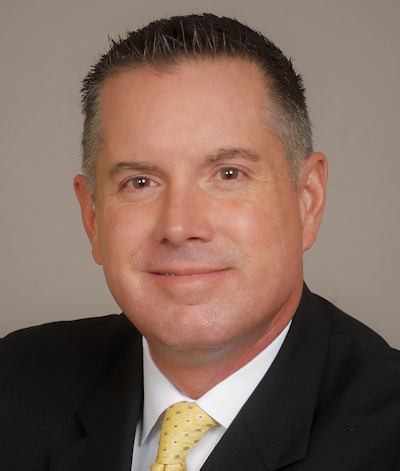 Ray Plummer is the vice president of business development for Skinner and Associates Executive Search, an executive recruiting and consulting company specializing in healthcare executive, imaging, informatics, and IT recruiting. He is responsible for growing the organization while ensuring ongoing satisfaction for both its clients and candidates. Skinner and Associates has placed more than 700 specialists during the past two decades for numerous healthcare vendors and various hospital systems.